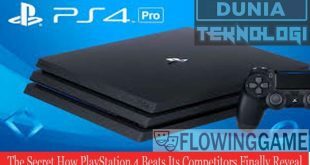 Home / PlayStation 4 / What’s Cheaper Xbox One or PS4? 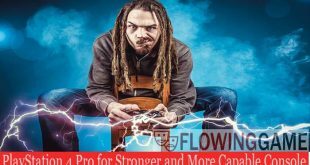 FlowingGame.Com – As a fan of home consoles, of course Xbox One and Sony PlayStation 4 (PS4) is familiar to you. Both are the latest generation of home console games, Xbox one was developed by Microsoft and PlayStation 4was developed by Sony. For those of you who are fans of this game console certainly difficult to choose one of them, because they both have advantages. But back to the budget you have. Play Station 4 is cheaper than the Xbox One. Maybe some of you already know tips buy PlayStation 4 because the game is the latest console. The price of PS 4 is $ 399 (£ 349.99 / AU $ 549) while Xbox One is $ 499 (£ 429 / AU $ 499). But with the price given by the developer must have a reason behind it, with all the advantages and disadvantages. In terms of outward appearance, Play Station 4 is more elegant and small compared to Xbox One. But in terms of power, when the stand by Xbox One requires power 20 watt and requires 30 watts of power when played. While Play Station 4 requires 13 watts when stand by and requires 40 watts when played. This is where the Xbox One is better to save more power. 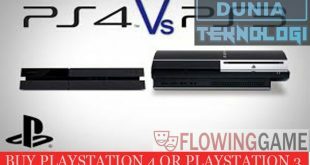 Associated with the noise caused by the console engine, this time Play Station 4 guarantees that the console engine will not make a noise when played. Play Station 4 is much quieter than the Play Station 3 at the time of play, as Play Station 4 has a very fast fan. On the other hand, Xbox One also ensures that the console engine will not make noise even for hours when the machine is used to play. This is because the fan pad of Xbox One is very large, bigger than the hard drive size in it. In terms of controller design, both still retain the design of the previous generation, of course with some modifications. The Xbox One that retains the ergonomic design of the Xbox 360 replaces the previously unified eight-way D-pad now reduces it in only four directions to provide better precision. The analogue design is also now much more comfortable in the thumb thanks to the curved design inside which further follows the texture. But the higher Xbox One analog controls make thumbs fast and precisely reduce precision. The PlayStation 4 Dual shock 4 feels more “long” than the PlayStation 3 DualShock 3. This is because the touch pad replaces the “Start” and “Select” buttons before but it takes up more space. However, the analog control DualShock 4 feels more comfortable because it is no longer round out as before. Still about controllers, DualShock 4 does not need to use additional power from additional batteries, just like DualShock 3. While Xbox one still needs power from two AA type batteries to be used. However, the durability of DualShock 4 is not too long, i.e. only for seven hours non-stop. While the Xbox One controller that uses two AA type batteries can last up to one week duration if playing with the same period of time each day. In terms of interface, Xbox One looks more beautiful than the interface of the PlayStation 4. Of course this is thanks to the style of style of the style of style of Windows 8. While the PlayStation 4 interface can be said not much different from the PS Vita, which is still using a blue background that “blank”. But precisely the “void” interface is actually making the PlayStation 4 to be more efficient because players will be able to immediately find what is searched with ease. While Xbox One that uses metro style from Windows 8 to use multiple places for one application so look for application becomes longer because having to open page by page. 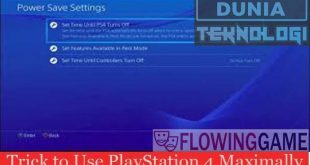 The special reason for the interface of PlayStation 4 is equated with the PS Vita interface certainly cannot be separated from the Remote Play feature between the two. With this, it is easier for gamers to switch from PlayStation 4 to PS Vita in real-time. With features and prices like above, what’s cheaper Xbox One or PS4? Xbox One with Kinect and a controller or PS4 with a DualShock4 console. Make your own choice! 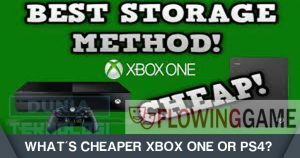 Tags What’s Cheaper Xbox One or PS4? Previous Buy PlayStation 3 or PlayStation 4?